The Panoura 18S is the most practical advanced 2D and 3D dental imaging system. Ideal for doctors who need Panoramic, Ceph and 3D capabilities all in one compact, low-cost platform. Most Panoramic CMOS sensors use lower cost, more generally available materials that are less sensitive to x-ray. Therefore, these sensors must convert x-ray to light before converting to a digital signal. This can result in image blurriness because the extra conversion step can cause the radiation to “fan out” and inadvertently trigger surrounding pixels. The Panoura has a unique sensor design that converts x-ray directly to digital, which contributes to a much sharper image. How do we create the gorgeous images we’re so well-know for? It’s the 16 bit sensor. A 16 bit sensor has twice as many greyshades that can be presented in each pixel as a 15 bit sensor and four times as many as a 14 bit sensor. In the end, a 16 bit sensor provides fantastic texture and contrast. 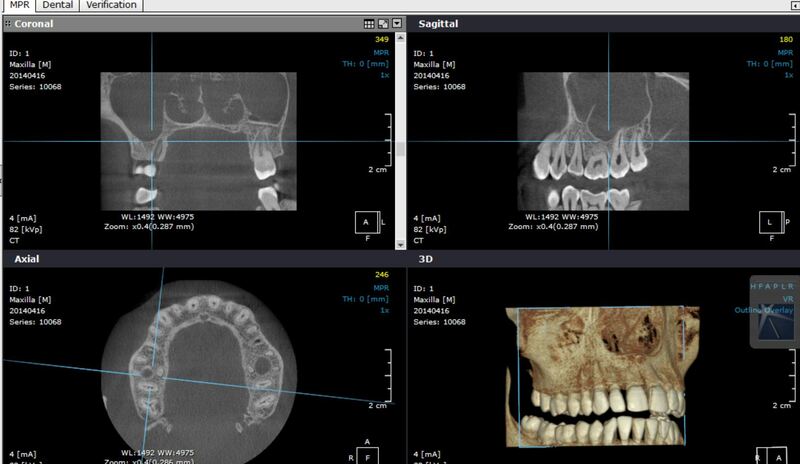 Not only do we do create bitewings, but our FMX Clipping feature creates 18 intraoral-sized images clipped from the pan with one click. 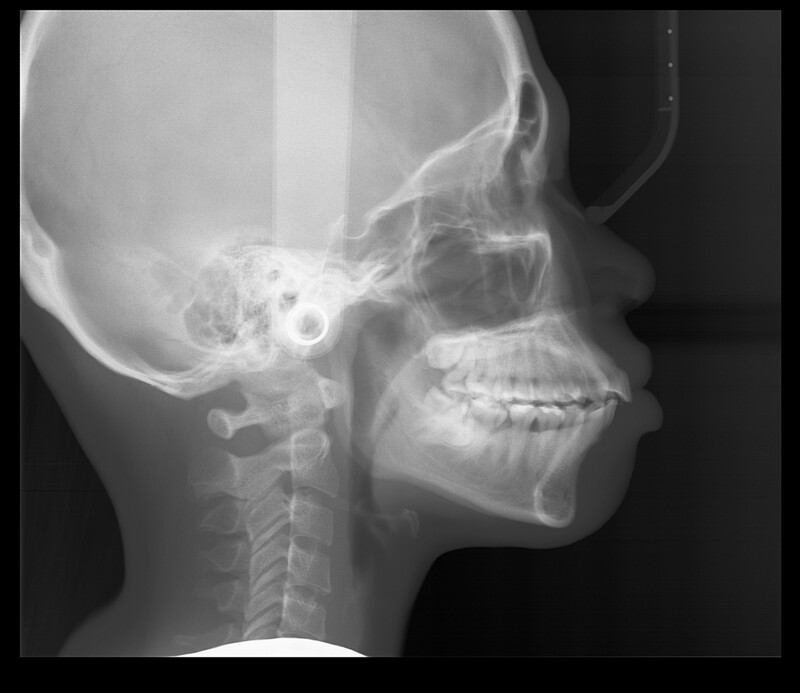 Instead of taking 18 individual images with an intraoral X-Ray, they can all be generated at once in 14 seconds. Panoura 18S features auto-correction for suboptimal patient positioning. Without this, an already suboptimal image (from a pan with a lower-quality sensor) can be further degraded if the patient is not positioned optimally. With the Panoura, the very high data-capture sensor acquires many “layers” of image data. This allows the powerful software to auto-correct for suboptimal patient positioning. It’s worth noting that all of this data is available after the image is taken – so the image can be further optimized if desired. In the end, this assures exquisite images with the Panoura every time while being less dependent on operator training or the ability of the patient to remain stationary. Our basic 2D panoramic unit is upgradeable to 3D, so there is peace of mind that the initial investment is protected if 3D capability is needed later on. The Panoura’s small footprint makes it an incredibly practical solution for tight offices. Whether you need focused diagnosis and treatment, or an expanded view of the maxillary or mandibulars, the Panoura CBCT can dramatically improve the accuracy of an endodontic diagnosis or the implant treatment plan. Everything you need for planning your implant surgery is included. Mark the mandibular canal and place implant fixtures from our library of real-size implant fixtures of all major manufacturers on the market today. From the simulation, you can decide the implant fixture size and drilling depth and direction. Our 3D rendering technology allows for detailed zoom-in capabilities without resolution loss. Instead of simply magnifying, 3D Zoom Cube re-renders the selected producing a high-quality, sharp image. Clearly visualize root canals and precisely map the alveolarnerve canal as you examine any cross section from all sides of the cube.